This international ring of jewel thieves was brought to you by the bureaucrats at the EU. It is a complicated story, but Havana Marking has her sources. 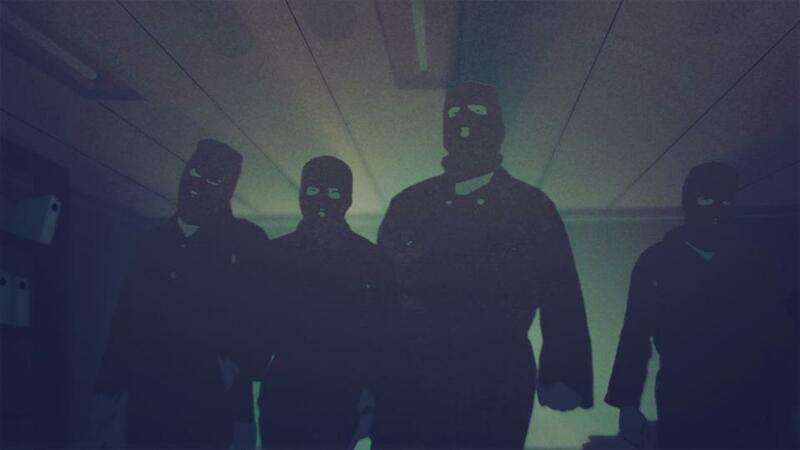 Using animation to protect their anonymity, a handful of former members explain the inner workings of their loosely structured organization in Marking’s Smash & Grab: the Story of the Pink Panthers (trailer here), which opens this Wednesday in New York at Film Forum. 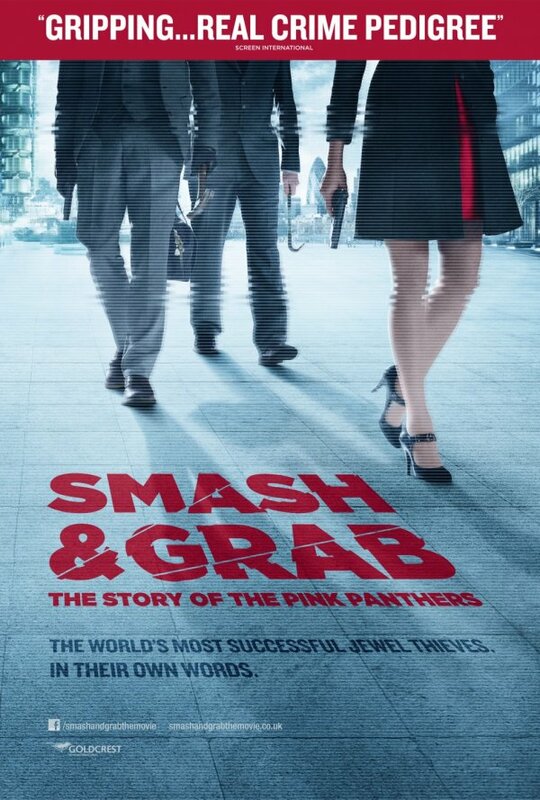 Marking is careful not to unduly glamorize the high-end jewelry thieves that came to be known as the Pink Panthers, in honor of the Blake Edwards franchise. Yes, they always avoided bloodshed on their jobs, at least so far. Yet, they have always been armed robbers, rushing into each score loaded for bear. They have never exactly been Robin Hoods either, simply divvying up the proceeds from each job amongst themselves. These were professionals, who invested significant time and money to meticulously plan each heist. Of course, they were not just men. Every caper started with a woman—a striking femme fatale, who would not look out of place trying on expensive jewelry as she cased the joint. Marking talks at length with one such scout. She goes by the name “Lela” for the purposes of the film and like many Panthers, she hails from the former Yugoslavia. The shadowy group’s roots lie in the Balkans’ tragic war years. With Serb Socialist Party boss Slobodan Milosevic stoking the fires of ethnic hatred, the EU responded by imposing a punitive economic embargo on the entire Yugoslavia. Apparently, Brussels hoped the widespread suffering would appeal to Milosevic’s heretofore unseen compassion, compelling him to behave better. Instead, it gave rise to an extensive black market, where future Pink Panthers learned the essentials of illicit commerce. Reportedly, the Panthers largely consist (or consisted) of Serbians and Montenegrins, like “Mike,” Marking’s star witness. However, she presents of conscientiously balanced portrait of the various Balkan nationalities involved. In fact, Milena Miletic, a Serbian journalist and veteran of the anti-Milosevic protests, is clearly one of Marking’s most sympathetic and authoritative talking heads. Even though Marking’s animated interviews with Mike and Lela look somewhat similar to those roto-scoped Charles Schwab commercials, they still serve as an effective counterpoint to the very real surveillance footage of the Panthers getting down to business. Unlike most true crime programming, there is nothing lurid or exploitative about Smash. Nevertheless, Marking’s eye for ironic imagery adds a bit of dash to the proceedings. Leanly constructed and briskly paced, Marking’s film gives viewers a vivid sense of the scope and tick-tock professionalism of the Panthers’ operations. Fascinating and often darkly comic, Smash is a good documentary for viewers who do not ordinarily enjoy documentaries. Recommended for popular audiences, Smash opens this Wednesday (7/31) at New York’s Film Forum.